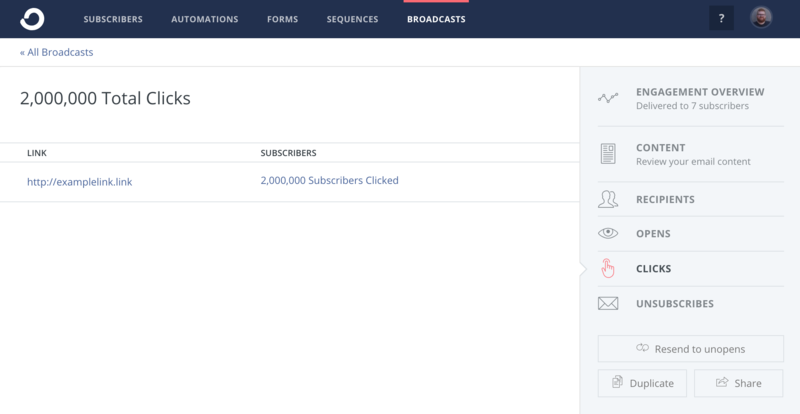 We've created a Broadcast reporting dashboard that bundles everything together in one place! 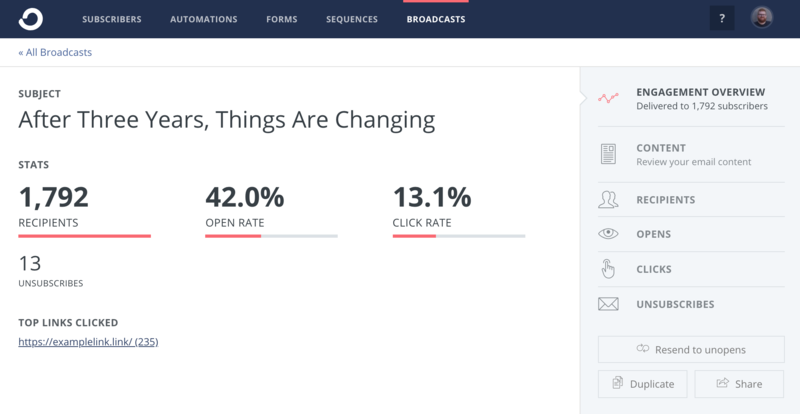 This gives great insight in how each of your Broadcasts are performing. You can see who it was sent to, who opened it and who clicked it. You can further specify this information, to see who clicked the link, and then use this information to Tag Subscribers. 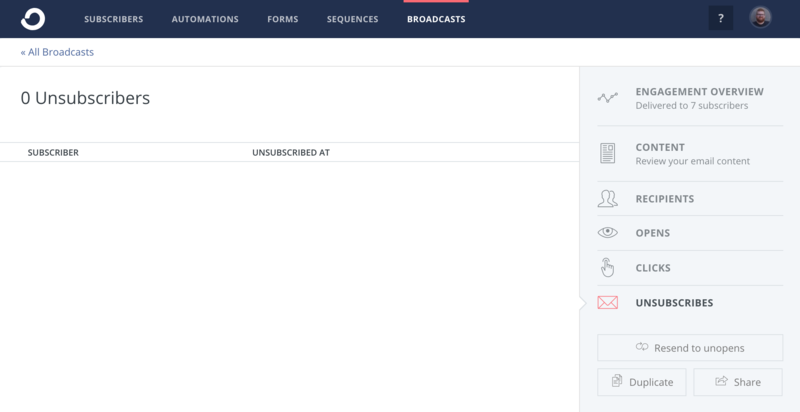 You can also see who may have unsubscribed, as well as from which data.